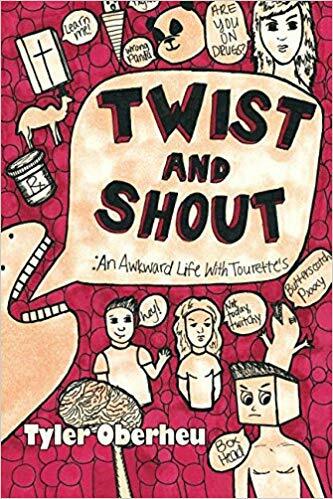 In “Twist and Shout: An Akwkward Life with Tourette’s,” the author narrates his experiences, misadventures, treatments, and diagnoses while sharing wisdom and philosophy from his journey. Through his memoir, the author encourages readers to understand the ups and downs of living with this disease and to hopefully show them that life is still worth living despite its challenges. Written like a collection of essays or taken from the pages from his own journal, Tyler Oberheu opens up about what it’s like to live with the symptoms of Tourette’s. While it can be difficult to discuss its realities, Oberheu bravely shares his journey to hopefully spread awareness and understanding about the disease and everything else that comes with it. Writing candidly and honestly as he could, he successfully finished writing the book for about three and a half months. He details these things wonderfully, positively, and heartwarmingly knowing that the only way to fully narrate his journey is through the words that come straight from his heart. Through his memoir, Oberheu encourages readers to understand the ups and downs of living with Tourette’s Syndrome and to hopefully show them that life is still worth living despite its challenges. Reaching out to a wider audience, he is set to share his story in the upcoming Los Angeles Times Festival of Books on April 13-14, 2019 at the University of Southern California. Be sure not to miss it! Graduated from DePaul University with a Bachelor’s in Creative Writing. Looking to inform and entertain anyone with the weird ideas coming from my unusually large head.